In the late 1700-1900's these stone huts were built to house animals and tools for the shepards. They are built without mortar and can be found throughout south of France. 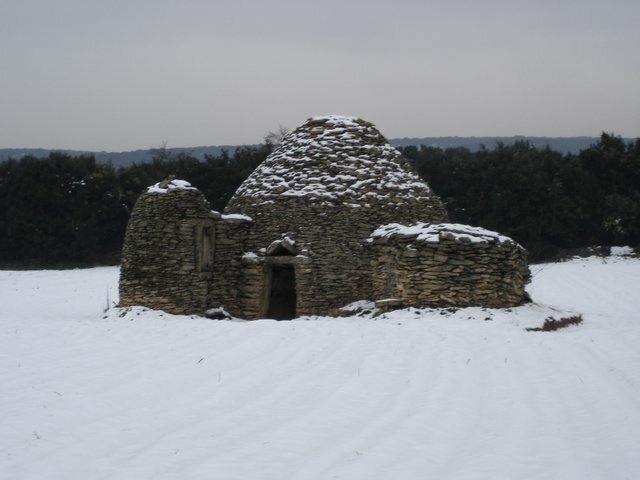 They are well preserved and are kept in tact whether they are in the middle of a field or next to a newly built house.A beautiful snowy day (the first one in years) in St. Quentin-la-Poterie.